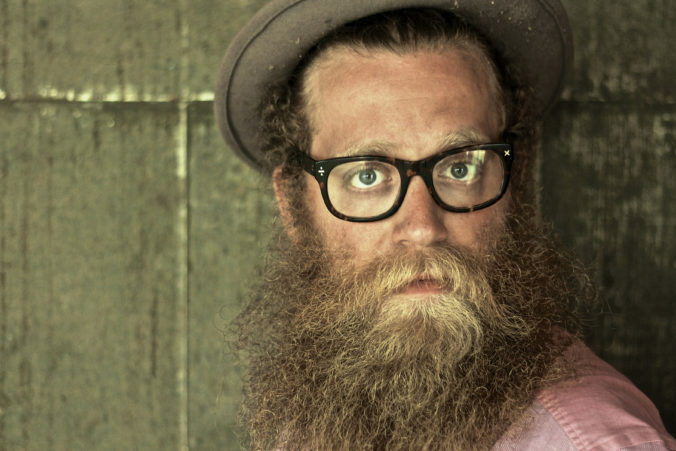 As he prepares to kick off a 33-date tour that will bring him through virtually all parts of Canada along with a handful of performances in the U.S., Nova Scotia-based songwriter Ben Caplan is looking forward to his imminent return to the Metro Moncton area. On Friday evening, Caplan will perform a somewhat rare solo show at Parkindale Hall, located in Albert County. While the remainder of his tour dates will boast his backing band The Casual Smokers, Caplan continues to be enamoured with performing solo when the opportunity presents itself, heightening his anticipation for Friday evening. In the approximate 14 months since Caplan last checked in with The Times & Transcript, his sophomore record, Birds With Broken Wings, has brought him through various parts of the globe. Having the opportunity to sustain such a rigourous touring schedule – Caplan estimates he performs 180 shows per year on average – is a testament to the complex beauty found in his latest record. The record is an admittedly ambitious piece of art, boasting upwards of 30 different musicians performing a vast array of instrumentation underpinned by a heavy Eastern-European influence. “On the whole, I’ve been very lucky to have had [Birds With Broken Wings] received so well by audiences. At the outset of making the album, I didn’t know what to expect as I made the record that I wanted to hear without really taking how it would translate in concert into consideration. So far, it’s gone really well. I don’t think we’ve alienated anyone yet,” he says with a laugh. Rather than rushing to capitalize on the success of his first two albums by quickly re-entering the recording studio once his spring tour wraps up, Caplan is broadening his horizons for his next project. Written by Caplan, Christian Barry and Hannah Moscovitch, Old Stock is inspired by the real-life story of Moscovitch’s great-grandparents, both Romanian Jews, who immigrated to Canada in the early 20th century. The story is viewed through the historial lens of Jewish immigrants more than a century in the past. The play is set to debut in Halifax in May. “That is where much of my focus has been for the past little while, helping build and workshop the material to get the production ready,” he says. Although the move into theatre from the concert stage may surprise some, Caplan studied theatre at university before finding himself feeling slightly overwhelmed at what was on his academic plate at the time. “Back as far as high school, I was involved in musical theatre, both on stage and as a director and producer. I found it was incredibly rewarding, but when I arrived at university, even after contemplating changing my major to theatre, I found myself struggling to balance academic life with songwriting and theatre. One of the three had to give and it just so happened that it was the theatre,” Caplan says. When: Friday Feb. 24, 8 p.m.